RIDE MORE. WAIT LESS. SPEED PAST THE LINES WITH FAST LANE PLUS! Roller coaster enthusiasts rave about the ride's high-speed twists and turns. Voted "Best New Roller Coaster of 2010" by Amusement Today. 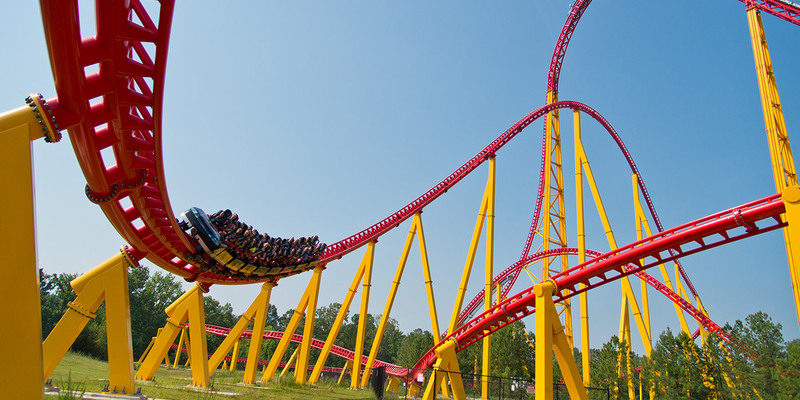 To provide increased ride capacity and shorten wait times, hats, bags, purses, and all other loose articles may not be taken into the queue lines at Intimidator 305. Unsecured articles must be left with a non-rider or placed in a locker located near the ride.